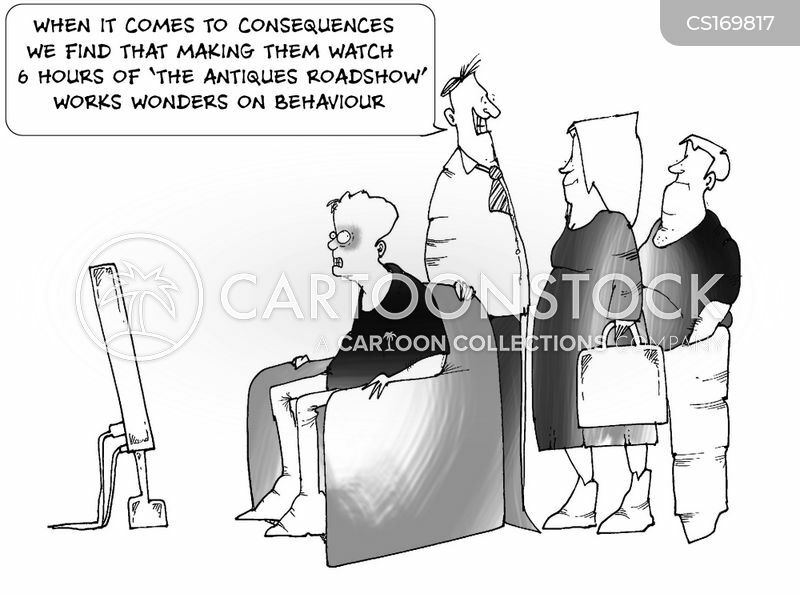 "When it comes to consequences we find that making them watch 6 hours of the 'Antiques Roadshow' works wonders on behaviour." 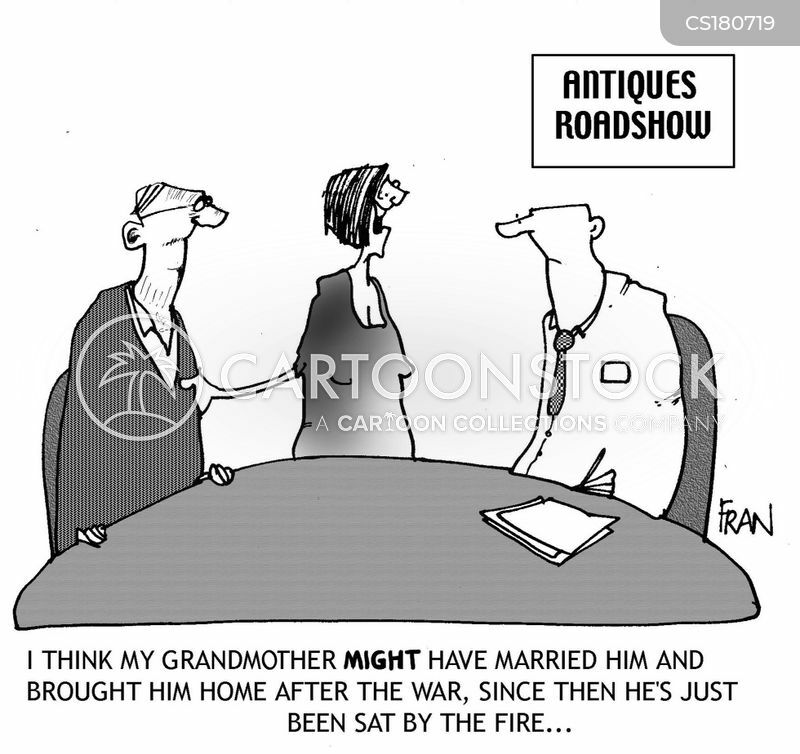 "I think my grandmother might have married him and brought him home after the war, since then he's just been sat by the fire..."
Prompts on the Antiques Roadshow. 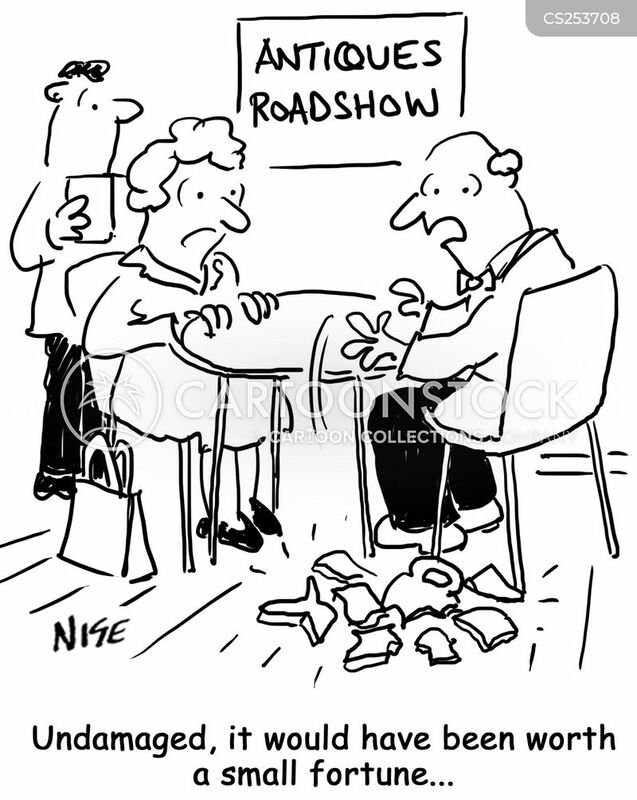 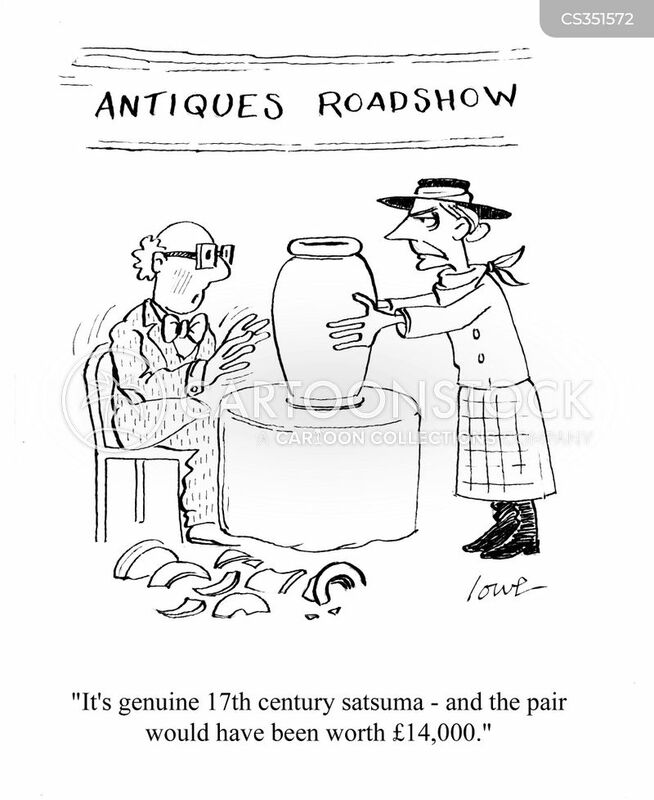 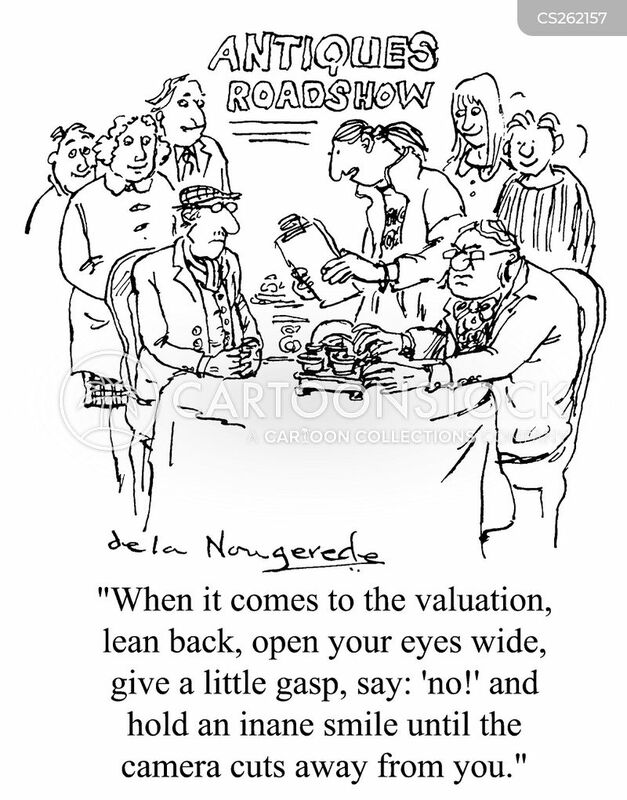 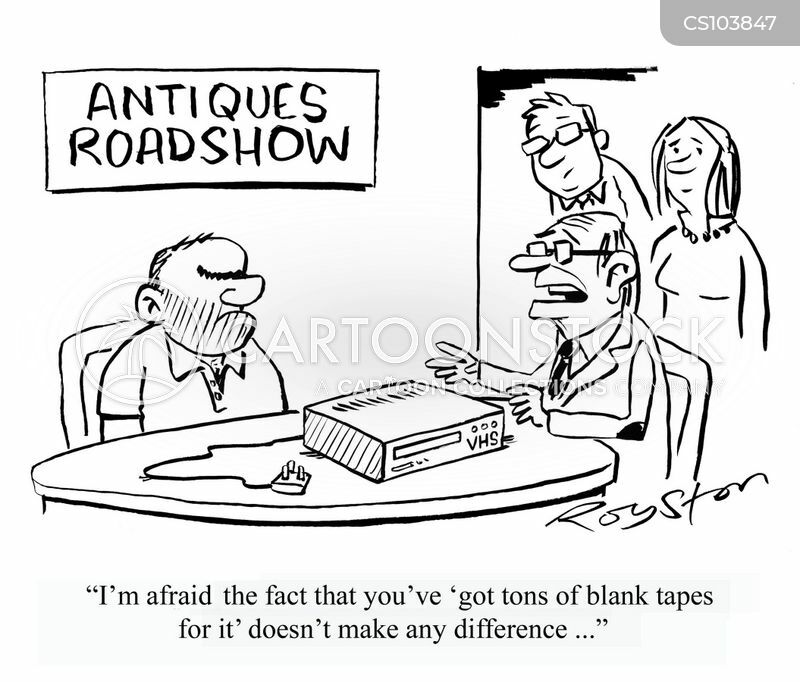 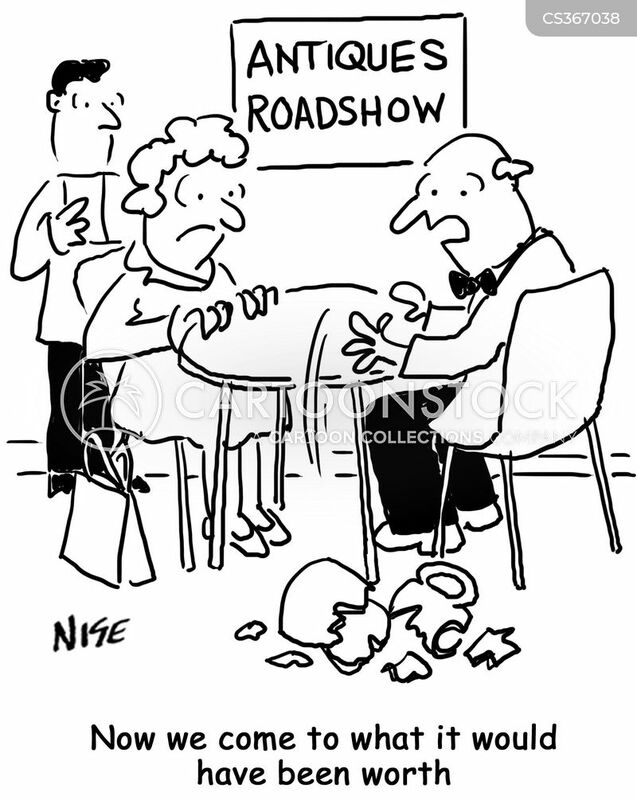 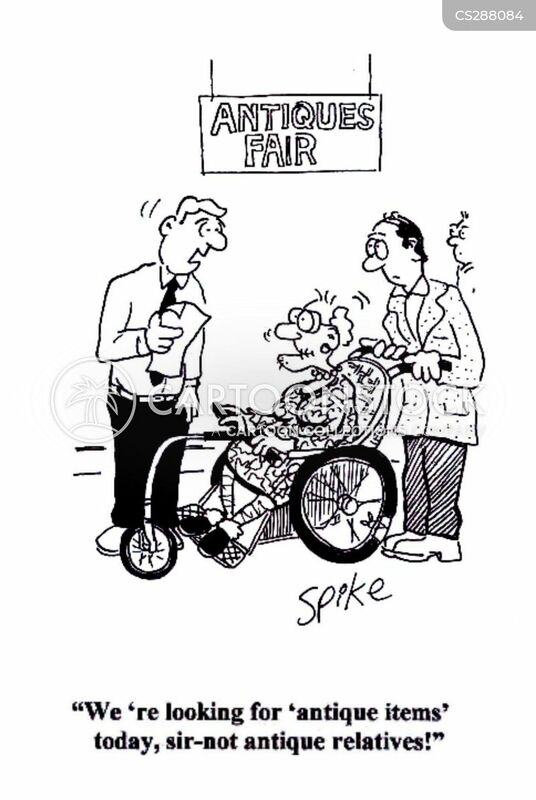 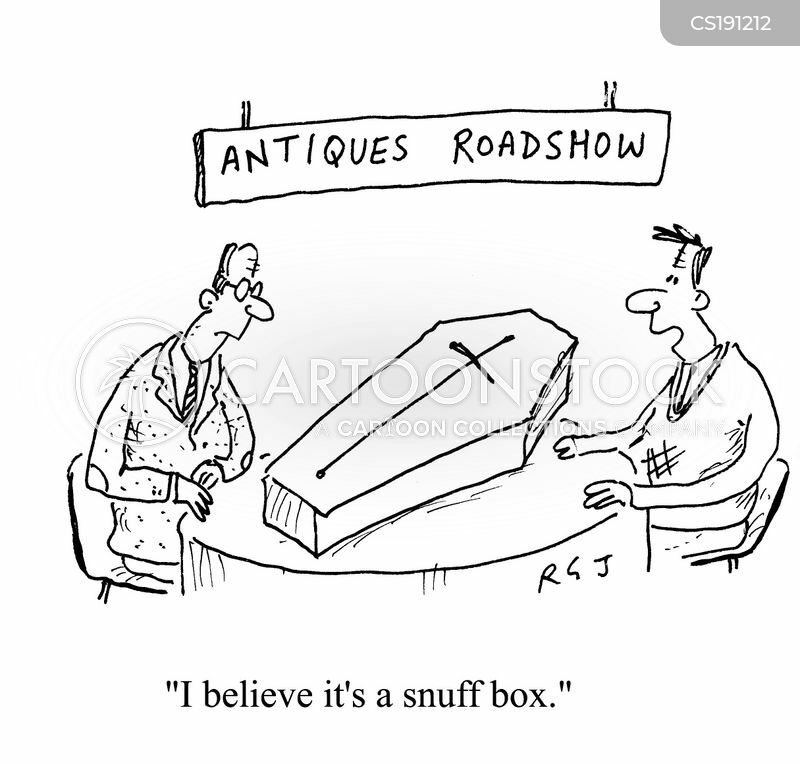 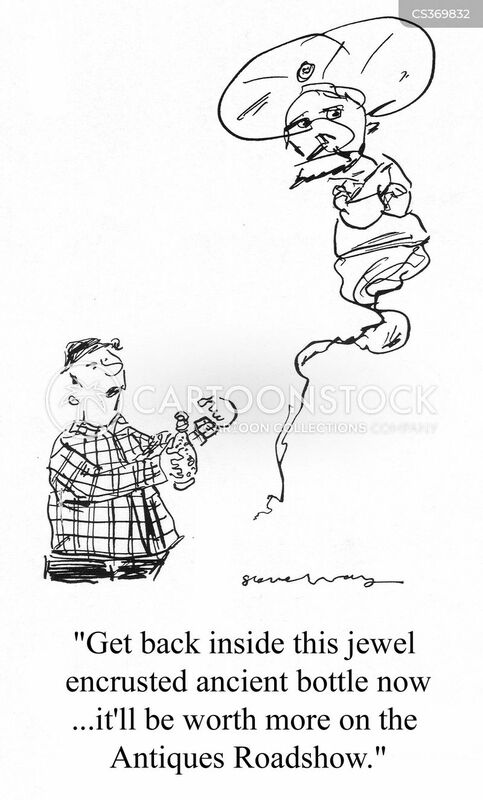 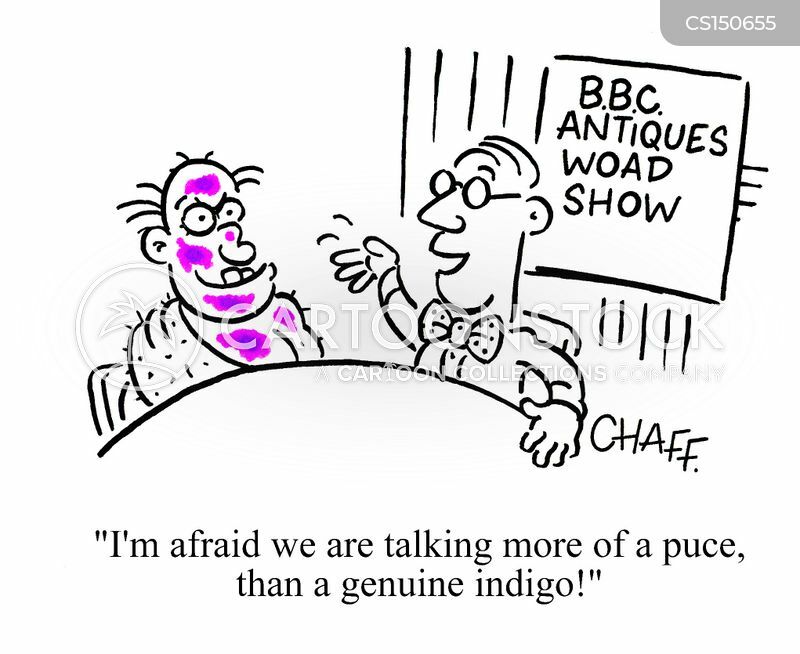 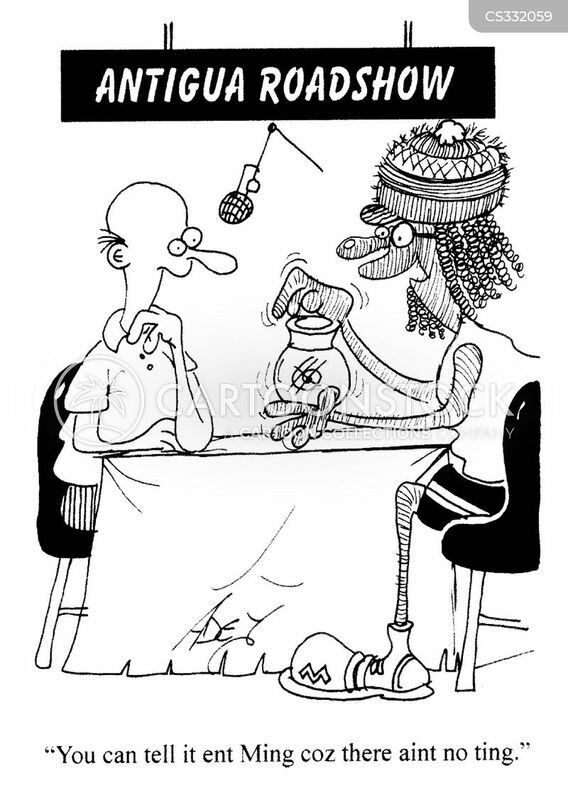 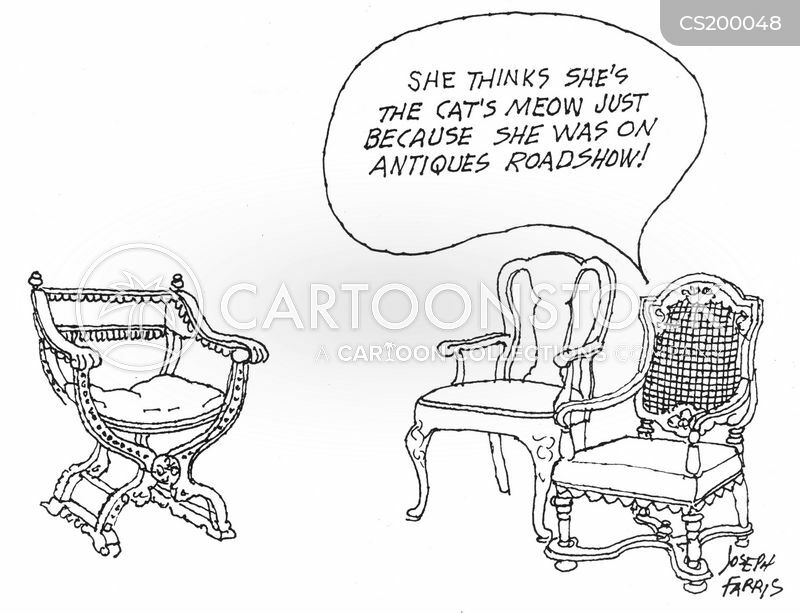 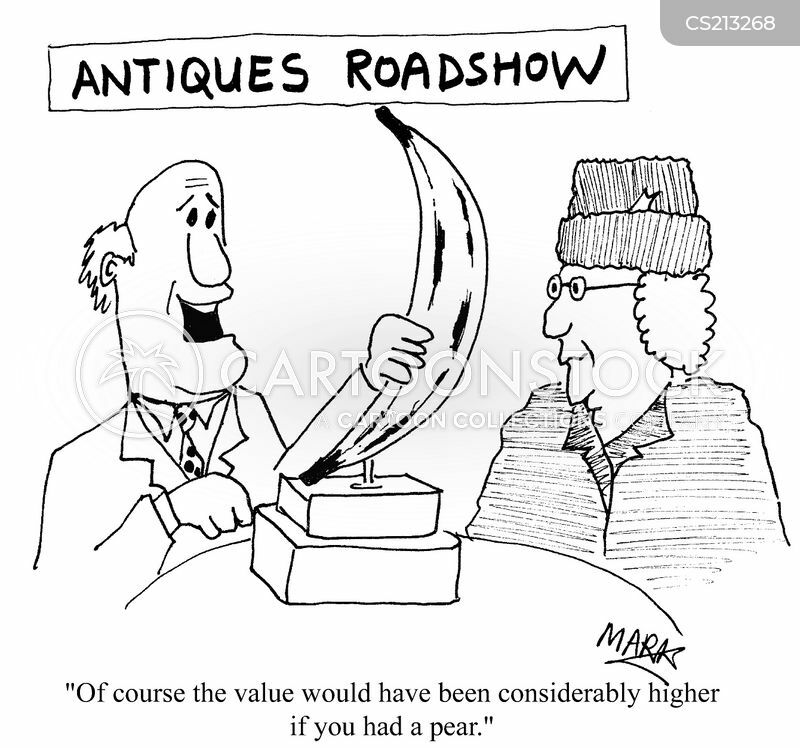 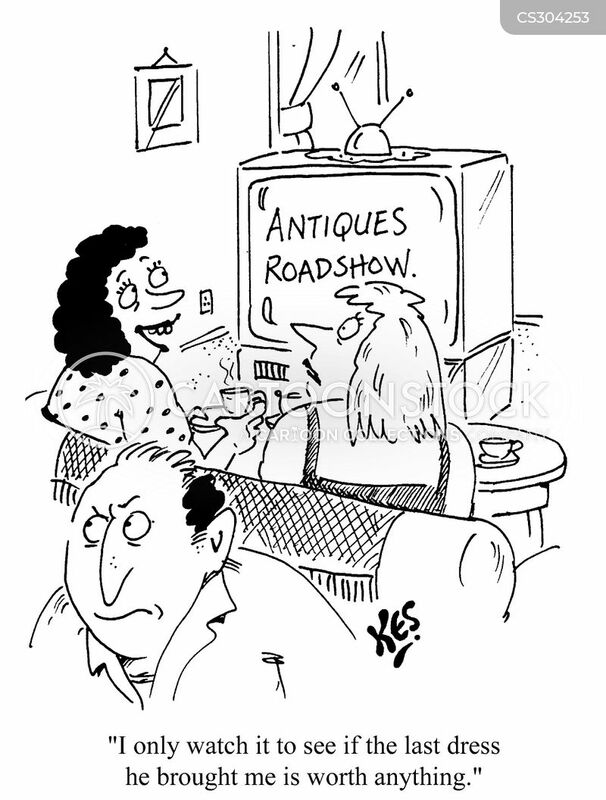 Antiques Roadshow - "Of course the value would have been considerably higher if you had the pear." 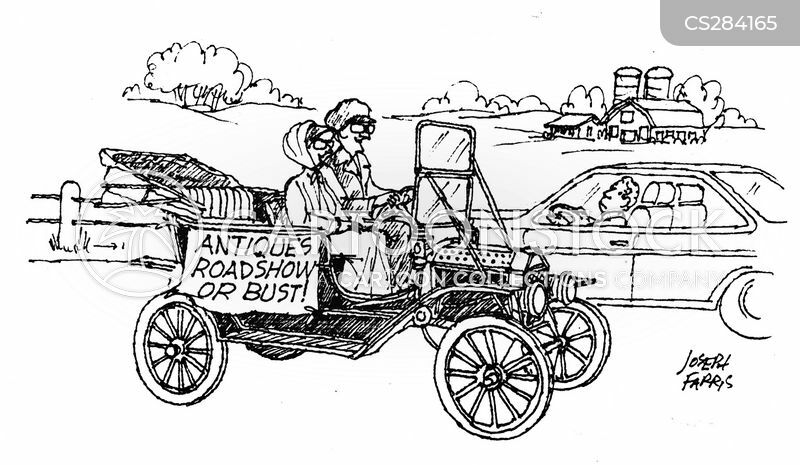 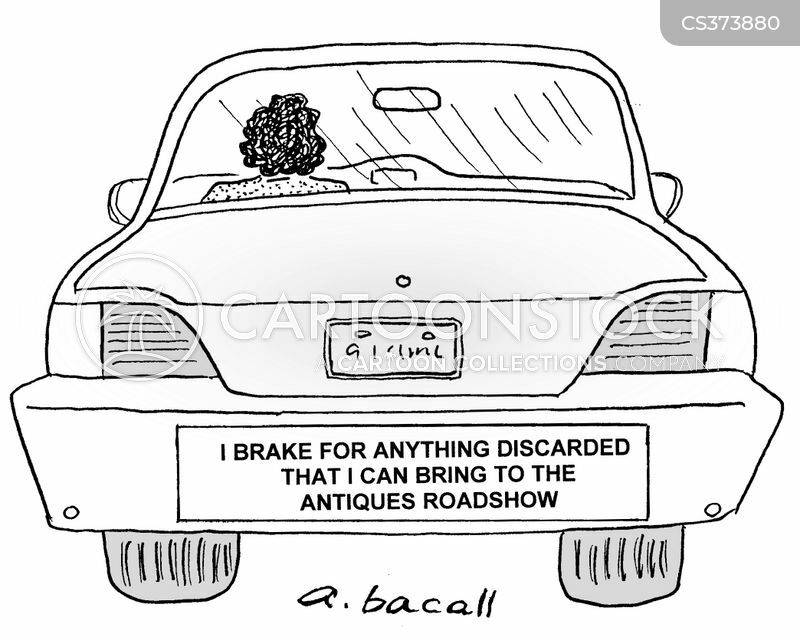 I brake for anything discarded that I can bring to the antiques roadshow. 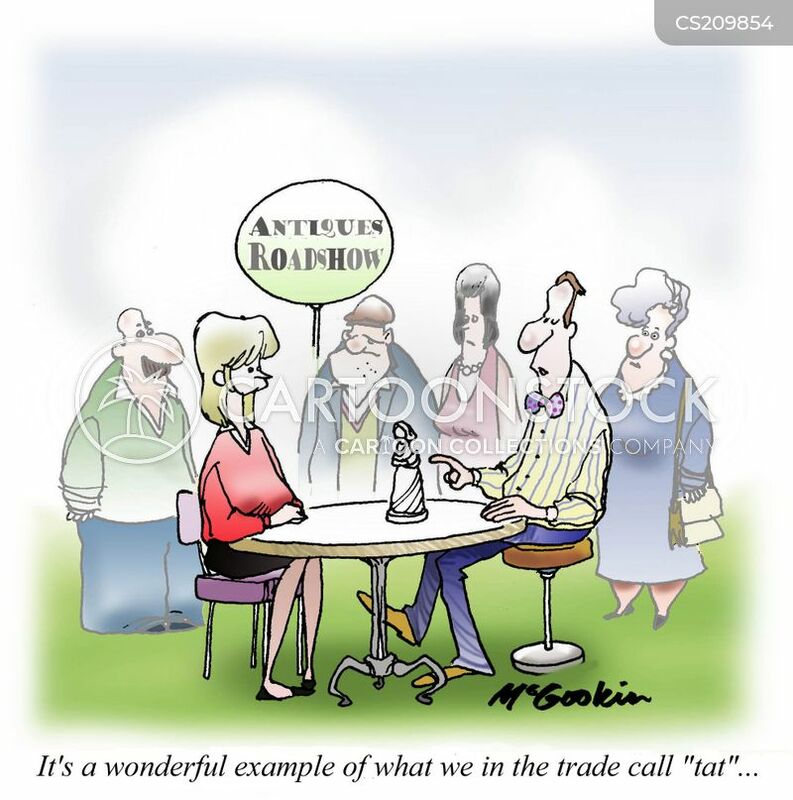 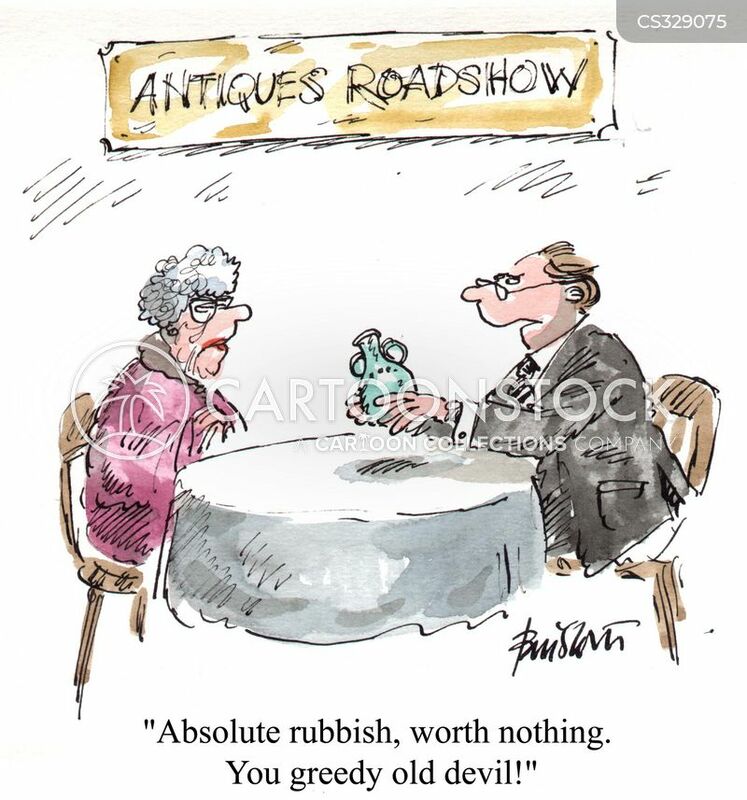 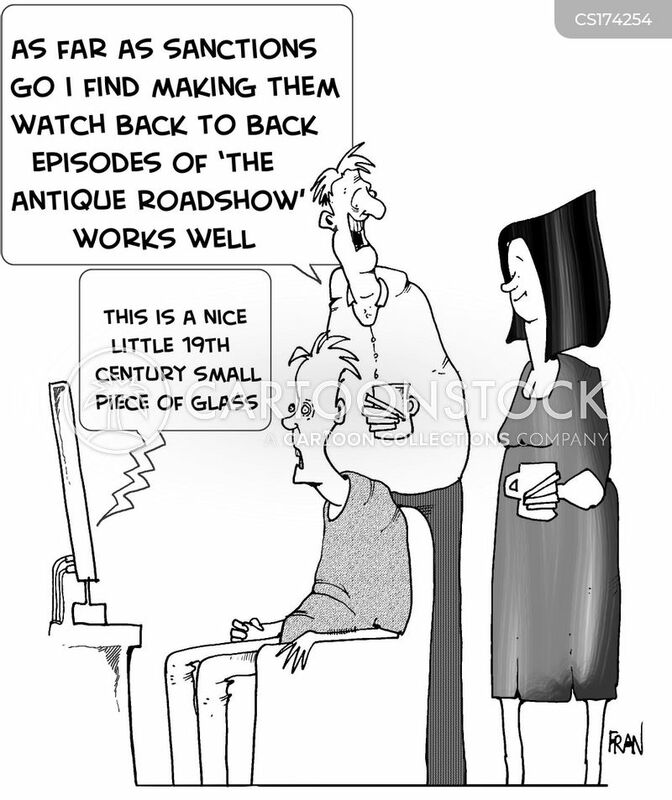 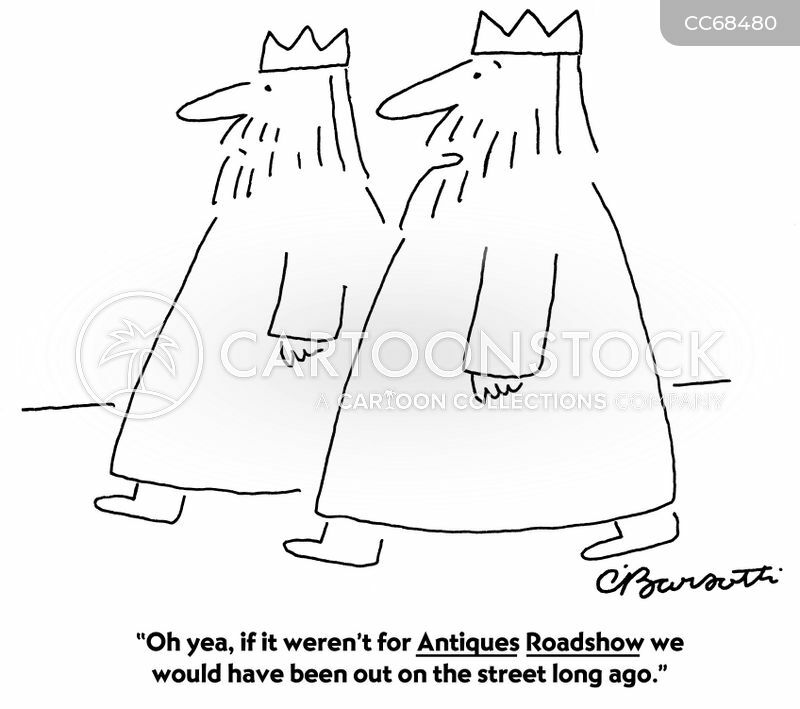 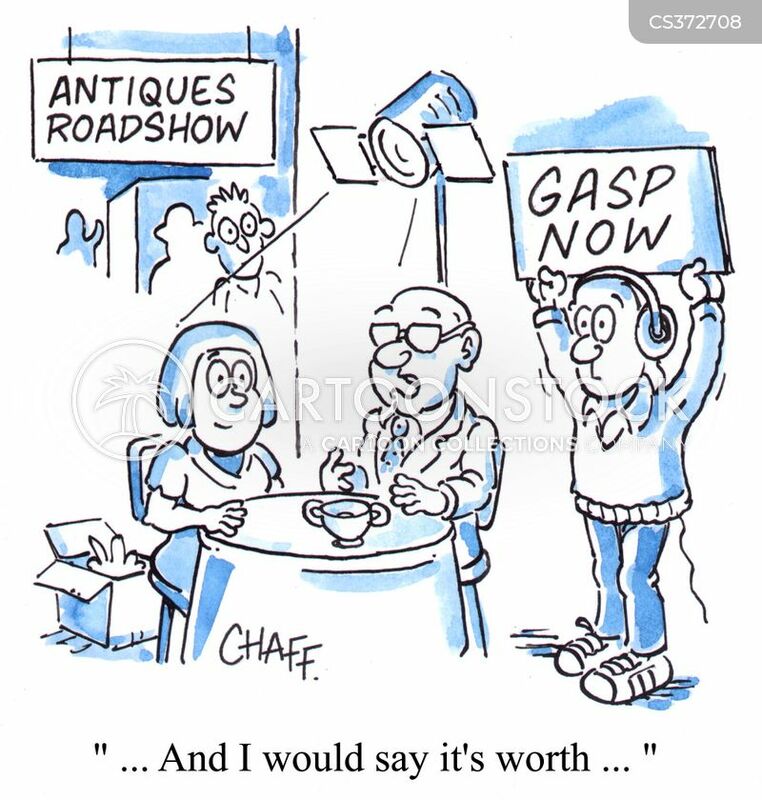 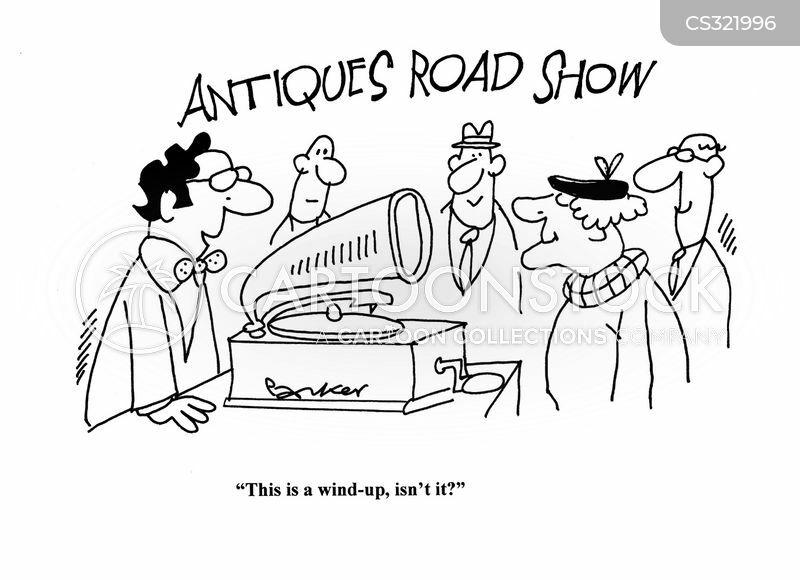 Antiques Roadshow - "When you hear the valuation.. "
"It's a wonderful example of what we in the trade call 'tat'..."
"I only watch it to see if the last dress he bought me is worth anything."